From reading reviews and hearing about this burger joint, I was keen to check out the hype. 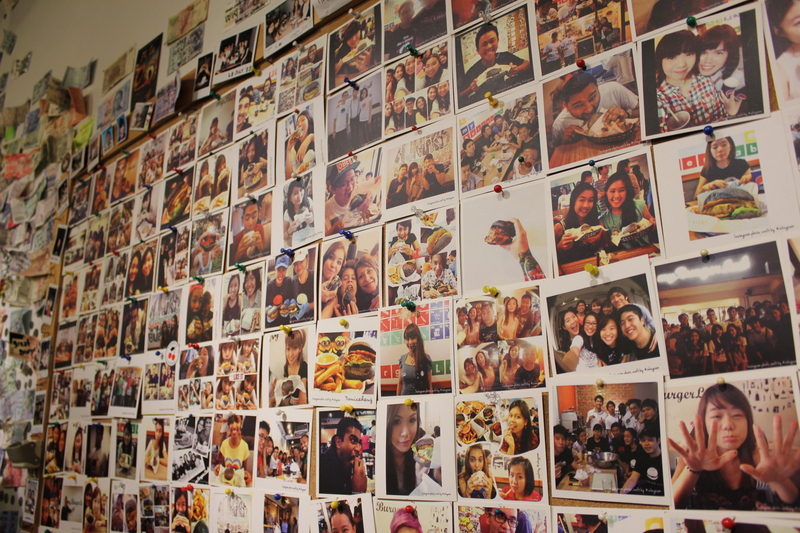 According to many, myBurgerLab sells the best burgers in town. What’s my verdict? The burgers are damn good. We were lucky that we were not greeted by a long queue when we arrived. I have heard that sometimes the queue can be stretched to the corridors outside the shop. That’s how popular myBurgerLab is. I had the A+ burger (RM15) and dad had the Beautiful Mess 5.0 burger (RM24 with fries and a soft drink). If I were to rate my burger, I will give it an A+. Yes, the burger speaks for itself. 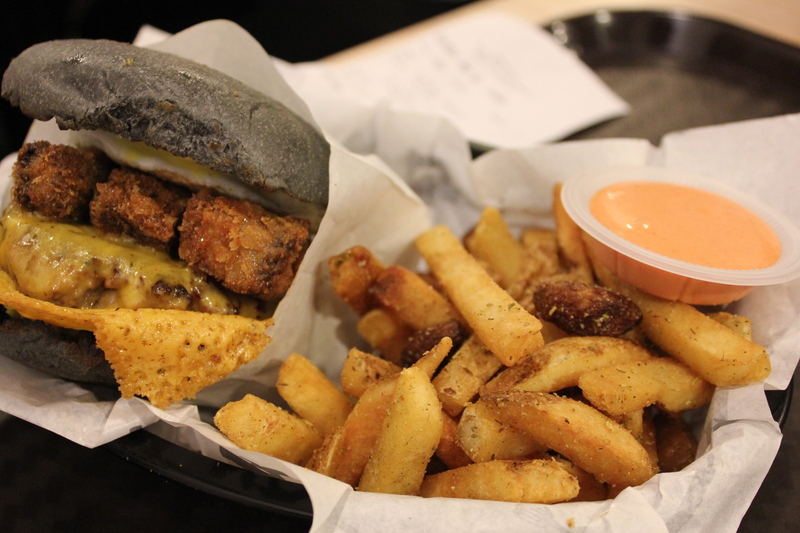 The burgers at myBurgerLab stands out from the rest as the buns they only use are charcoal buns, which are baked fresh daily. That’s why the bun is black but the texture is soft and fluffy. 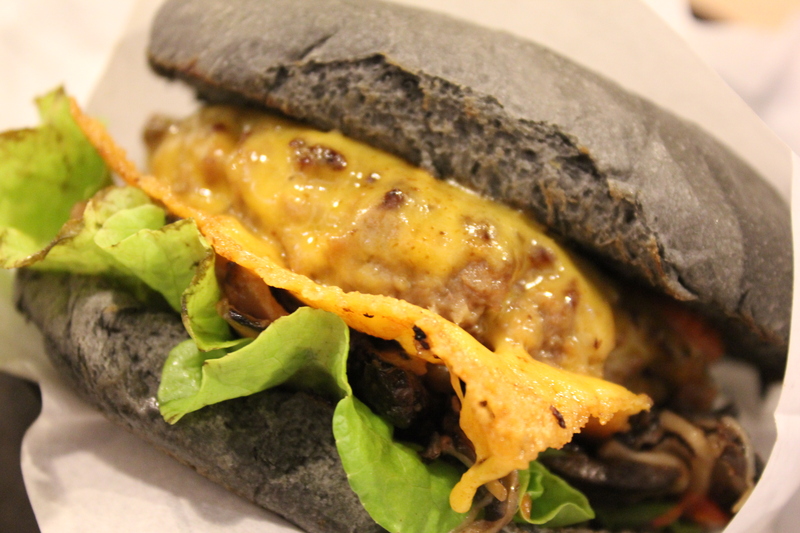 With sharp cheddar, caramelized onions, shiitake and enoki mushrooms complementing the beef patty, it was full of flavour. The Beautiful Mess 5.0 burger was as amazing as the A+. It is a sloppy beef burger, which consists of massive fried portabella mushrooms, a sunny side-up egg and mozzarella cheese. YUM! Other than their burgers, the fries are really delicious! The fries were lightly seasoned with herbs and salt and was crispy in texture. The tangy & spicy dipping sauce complements well with the fries too. Everything in myBurger Lab is made from scratch and the beef patties are from 100% Australian Grass Fed Beef . Most of the burgers on the menu have really interesting names too. 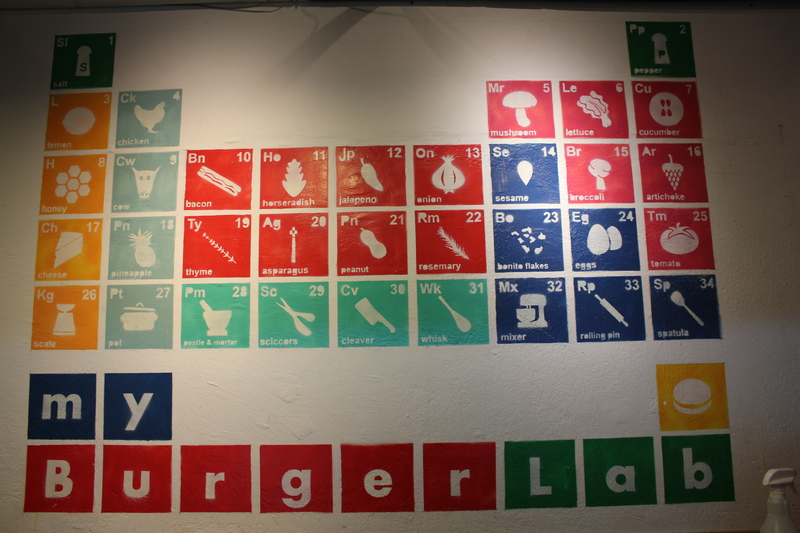 It is also said that a lot of experiment with flavours and ingredients has been going on in myBurgerLab to produce what they have on their menu today. So, keep a look out for more innovative, interesting and yummy burgers in the future! If there was a Nobel Prize for burgers, it will go to My Burger Lab.